Released yesterday, the Ledger toxicology report reveals that a combination of prescription drugs led to an accidental death. Oxycodone, Vicodin, Valium, Xanax, temazapam and doxylamine, a cocktail of 6 prescription drugs found consumed by Heath Ledger – listed in a newly released toxicology report. 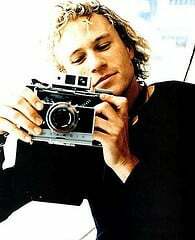 A combination of narcotic pain pills, anti-anxiety medications and sleeping aids, these powerful drugs, all sedative type drugs of different forms, created a state of sedation and intoxication so profound that Ledger was unable to wake up. Medical experts explain that these drugs layer atop one another, each increasing the total effect of the sedation; making combining different types of sedative like drugs a very risky thing to do. NYC Medical Examiner Spokesperson, Ms. Borakove, reported that although the toxicology report did include information on the concentrations of each drug - that information had not been made public, as was normal procedure. Ms. Borakove confirmed however that no one drug, but rather a combination of all drugs, led to the fatal overdose. Rumors of drug abuse and addiction have persisted, after reports circulated following his death of cocaine and other drug abuses. Several addiction experts, after reviewing the toxicology reports, say that although the overdose appears accidental, the numbers of drugs used likely indicates a person suffering a prescription drug addiction. Dr. Andrew Kolodny, a psychiatrist at Maimonides Medical Center in Brooklyn explained, "I can tell you that if I presented a case of an overdose death with a toxicology report that appears like his did, my assumption would be the individual suffered from addiction." The Drug Enforcement Agency has opened an investigation, hoping to learn the source of the medications.